Hello! For today's post I have another 26 Great Nail Art Ideas mani. If you missed the last one, you can find my 'Work Appropriate Nail Art' here. This time the prompt is 'Yellow and One Bold Colour'. 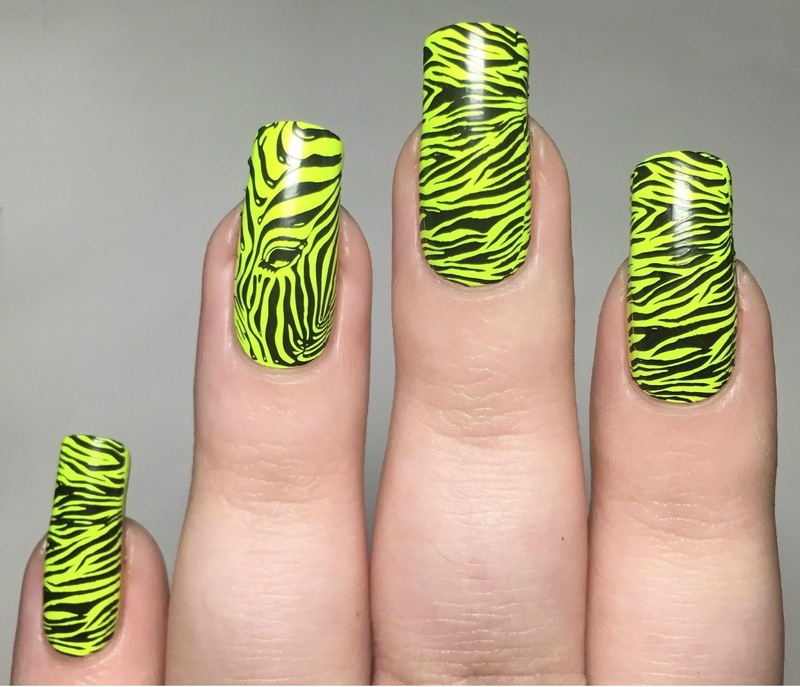 I cheated a bit with this one, using a chartreuse as my yellow, and black as my bold colour - but I love the outcome so I forgive myself! Read on to find out more! I started off with a base of Cirque Colors 'Electric Daisy', a neon chartreuse creme. I bought this recently from Rainbow Connection and could not wait to get it on. 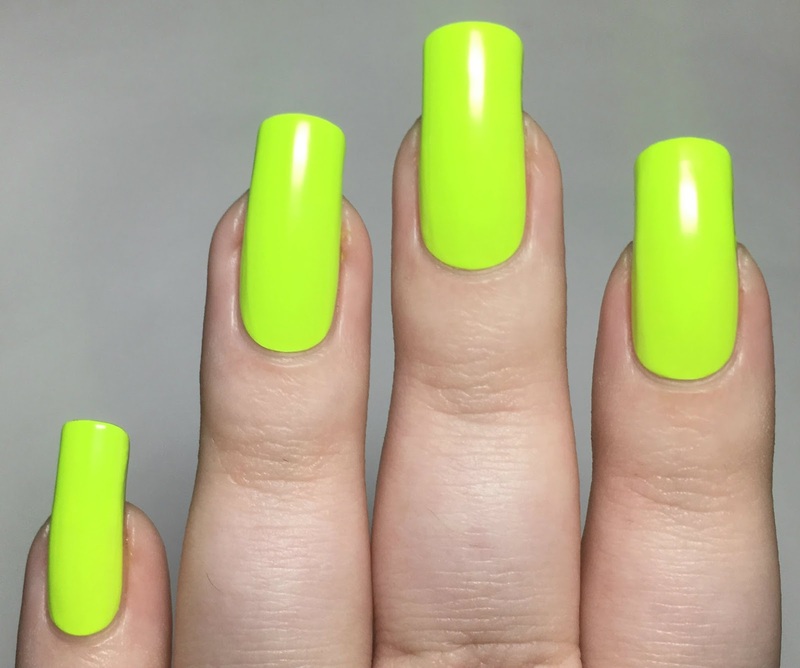 It has a smooth and easy to apply formula, especially for a neon. I did have some slight nail line and minor streaking after a second coat, so added a third. Below is three coats without topcoat. 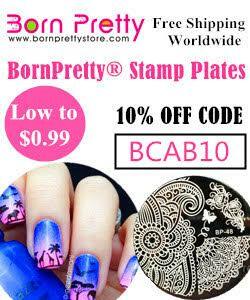 For my stamping, I used two different plates. On all nails except my ring finger, I stamped the zebra stripes from Uberchic Beauty Out of Africa 01. On my ring finger, I stamped the zebra head from Bundle Monster Fuzzy and Ferocious plate BM-S151. I used Hit The Bottle 'As Black As Night' and a Born Pretty Store clear stamper. What do you think? I absolutely love them! 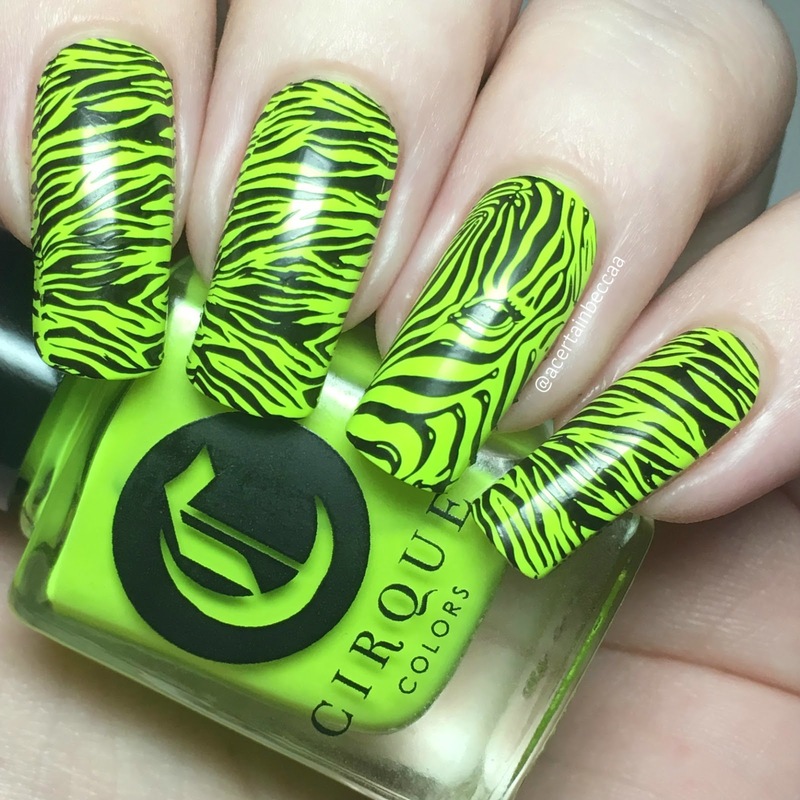 I love neons, and I love zebras - what more could I want?! 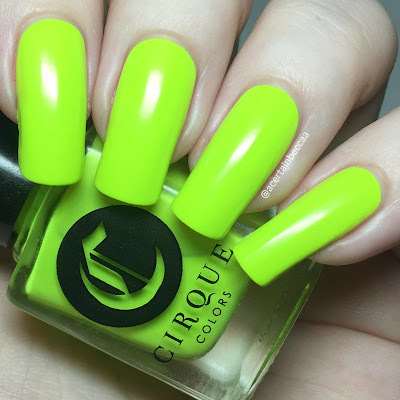 Cirque 'Electric Daisy' is amazing. It's not everyday you find a yellow-based neon with such a good formula, as well as not needing a white base. I'm now on the look out for any more Cirque neons! Ha ha! I'm glad you cheated, I love how they turned out too! That neon is amazing with the black.